The best part? The kiosk needs only 15 minutes to give your phone a full charge. 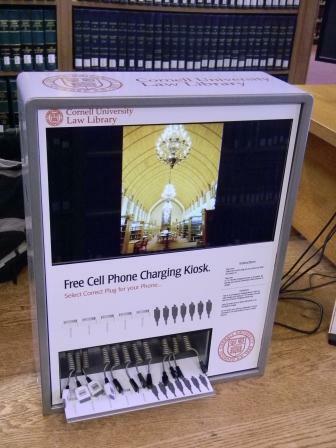 If you have questions about the kiosk, please contact Technology Services Librarian Dan Blackaby.